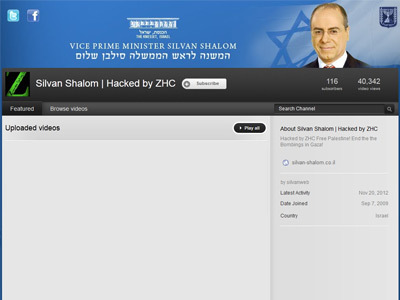 The Facebook, Twitter, LinkedIn and YouTube accounts of Israeli Deputy Premier Silvan Shalom have been hacked and filled with pro-Palestine status updates. 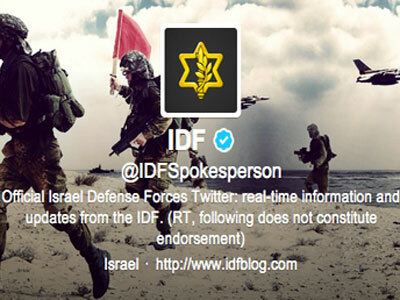 ZCompanyHackingCrew claimed responsibility for this latest act of cyber war against Israel. The group also claims to have hacked Shalom’s email and extracted personal mail, contacts and documents. The hackers announced plans to release the documents shortly. In Shalom's hijacked Twitter feed, the hacker group posted calls for protest against "unjust war and occupation," and asked, "Who can bare to see the horror, the deaths of children and innocent people trying to protect their occupied land?" 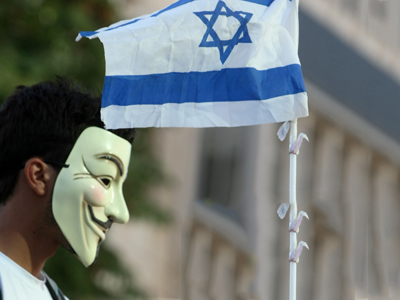 The full-scale cyber attack on the top Israeli official comes just days after prominent hacker group Anonymous leaked the personal information of 5,000 Israeli officials. 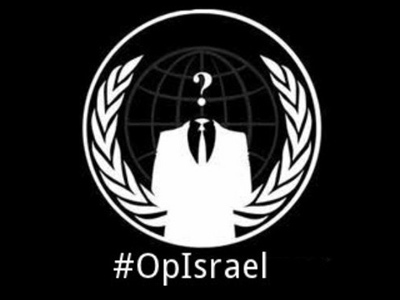 Anonymous also hacked over 700 Israeli websites, including the Bank of Jerusalem, the Israeli Defense Ministry, the IDF blog, the president's official website and many others, with the majority of the pages still down. Over the past few days, Israel has “deflected 44 million cyber-attacks on government websites,” Israeli Finance Minister Yuval Steinitz told AP.